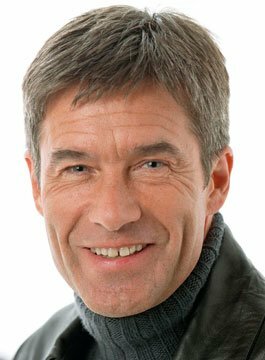 Tiff Needell is a Motoring Presenter and Former Racing Driver. Tiff presents the popular motoring show Fifth Gear alongside Vicki Butler-Henderson, Jason Plato and Jonny Smith. A presenter for over 30 years, he has presented Top Gear as well as being a columnist and feature writer in Top Gear Magazine. He has also worked alongside Murray Walker and as sole commentator for motorsport presentations on BBC’s Grandstand and has been the presenter for Sky Sports American NASCAR and Indycar series. Prior to his presenting career, Tiff Needell was a professional racing driver. Having attended the Brands Hatch Racing Drivers School during 1969 and 1970, Tiff’s career began in a dream story when he won his first racing car – a Formula Ford Lotus 69F in a competition run by the weekly racing magazine Autosport. He worked his way up through the national racing scene to become a Formula Ford Champion in 1975. In 1976 he was runner-up in the Formula Ford 2000 Championship and in the same year as he was the recipient of the Premier Grovewood Award – he was selected by the panel as the most promising young driver of that year. Tiff has raced all over the world including the USA, Japan, Malaysia, Macau and India where he won the 1985 Bangalore Grand Prix. Since Top Gear beamed Tiff’s face into over five million homes, he’s been a popular guest for corporate events. His engaging personality allows him to mix and mingle with guests from all walks of life. Whether speaking at an exclusive dinner or hosting hundreds of guests at the Grand Prix, Tiff communicates with every audience. As an After Dinner Speaker Tiff Needell draws on a racing career of over forty years and a television career of more than thirty to entertain with stories of his own experiences behind the wheel, in front of the camera and alongside the likes of Murray Walker, Nigel Mansell and, of course Jeremy Clarkson.